With the growing influence of social media, the power of influencers today has increased significantly. As per a report released by IPG and their group company FCB Cogito Consulting, the influencers and recommendations are valued much more in India than in other countries. The report presented by Terry Peigh, Sr. Vice President and Managing Director of IPG mentioned that India not only ranks highest on initiating product conversations and actively advocating brand, but Indian consumers also like sharing opinion about brands to their friends more often. The consumers here regularly consult blogs and social media for finding new products. Consumers across the globe are increasingly looking at influencers to make their brand decisions. The advent of digital has amplified the entire ecosystem of influencers and reach millions of people easily. Excerpts. Q. The report points out that Indian consumers are much more active in advocating brands to others. What is the reason for this? I think it is cultural. I think the Indian culture takes pride in knowledge versus other cultures in the world. I think people here have an intense desire to learn. It is interesting how the Indian consumer is different than many other parts of the world. There is an upward trend around people willing to share across the globe, but it is the strongest here. We have seen that trend growing continuously since last six years. Q. How important are influencers for brands in the Indian market? From everything that I am reading, I think influencers are important and they will continue to grow. People want to learn from and hear from those who know a lot about the product, and influencers are a great source for them. I think that as a marketing channel, it will only continue in its value and importance to other channels. Q. Is influencer based marketing the future of marketing in the world of millennials? I think it is one aspect of the future. 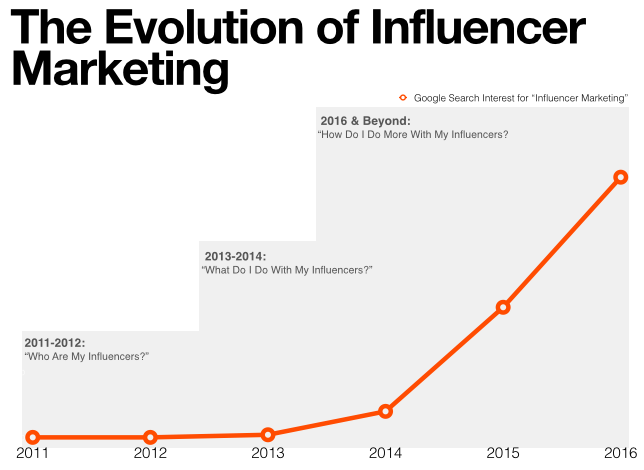 There has always been influencer marketing, it just wasn’t called that. It used to be called talking to your neighbour or friend. Now it also has a promotional aspect to it and with the internet you can speak to millions of people. The scale has just erupted. It is not the ultimate solution, but I think it is one part of the orchestra. It is becoming a bigger part of the orchestra now. Q. So, what will be the role of an ad agency now in the time of influencers? Why can’t brands just approach these influencers directly? Some (brands) are doing it. I saw a car company that has to manage 400 influencers. And, that is why a lot of clients don’t make their own advertising because they can’t manage that as they don’t have the expertise and staffing for it. So, they would often prefer to outsource it to a public relations company or an ad agency. There are third party companies that do nothing but manage influencers. There are many of them out there. Some clients may try to do it and some small clients may do it, but it is a lot of work. Q. How big is the influencer marketing market globally? It is growing like a weed in the US and I probably think it is growing like a weed here too. The interesting part is to see that whether people lose trust in the influencer as the trend grows. Today, people give a lot of credit to influencers, but will that hold up? I think people do care about the Kim Kardashians of the Hollywood or the ones in the Bollywood film community. However, if people start to smell that the influencers are not authentic and are doing it for money, then it is going to crash. Kim Kardashian had some problems where she was promoting some products and it was clear that she was a hired gun. The bigger the celebrity, the more people start to question how authentic it is. There are celebrities out there who genuinely use the product. The last thing a marketer wants is to engage with an influencer and find him to be a fake influencer. It just hurts the credibility of the brand. Q. And finally, what questions should marketers or brands ask today in this fast changing market? Trust. What is the level of trust for the company? For your brand and for various audiences? And how is that shifting? I am just amazed how rarely that question is asked and I am amazed how important it is. How could you execute a marketing plan without knowing where your brand stands on the issue of trust. I think it is a critical question. People monitor price perception, and attributes, etc.